The Video Game Childhood and Why Parents Shouldn't Fear It! For my children, exposure to video games was inevitable; my husband and I have not only gleaned some deep insights on parenting in the age of video games, but we have also found ways to use video games to bring out the best in our children; and here is what we found. My ears perk up when I hear another father asking my husband: "So, what do you do?" We are at a weekend barbecue at a neighbor's house. The kids are running around and the parents are giving social interaction a try. Oh! There are going to be fireworks, now! I think. My husband replies "I have a company that markets mobile games," which in these circles is interpreted as: "I sell crack cocaine to your children." The other father predictably responds with: "I HATE video games! Well, I don't hate games. I hate that I can't get my kids to stop playing video games." And my husband says: "Totally. I have the same problem with books. I can't get my kids to stop reading books to play video games with me." Great Tool for Family Bonding: What I hear most when my family is playing video games is not the sound effects of the games, but the conversations, deep conversations, taking place. Sitting side by side for 30 minutes with a controller in their hands seems to calm and open my peeps into talking out what is going on in their lives. Inherent in this is the concept that we play games WITH our children, whenever possible, and if not, we are familiar with the games they are playing and deem them constructive. Development of Fine Motor Skills: Studies show that operating a video game controller develops fine motor skills, which are the same skills required to hold a pencil for writing block and cursive letters, critical tasks in academic life. I know that our son's ability to form letters, which needed some special attention, has benefitted from increased strengthening of his hands from practice with a controller. Practice with Self-Control: Gaming is also teaching my children to moderate their behavior and to know when and how to stop an activity to move on to the next. We agree ahead of time on how much play time is allowed, and we set an independent arbiter to measure that time (e.g. : mobile phone alarm, kitchen timer). When the alarm rings, everyone knows time is up -- finish up and move on to reading, writing, hiking or riding bikes. Exposure to Technology, Programming and Design: I am delighted by the questions that video games triggered in my children: How do you make a game? Who made these drawings? How? Who made the music? How? And very quickly it evolved to "I want to program a game. How do I do it?" My son signed up for a GameSalad class and built his first video game. Then he invited his friend over to test the game and they built a new game. Then the two friends signed up for a programming summer camp at Stanford, from which my son returned empowered to run a Minecraft server for his group of friends. And then, there is this: my son designed his own iPhone app to record chess games. How did this all start? Video games. 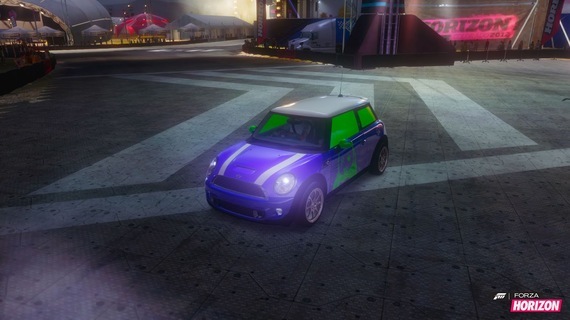 More Gender Neutral Play: Because my son's favorite game is Forza Motorsports, the driving simulation game for Xbox, my daughter got to design her own car in the game, the Reenie Cooper (she loves Mini Coopers now... when she sees one she yells "Mini Cooper, Mini Cooooper!"). This is my daughter's first exposure to cars as an area of interest. The boys took the "Reenie Cooper" for a spin in the game, and they got an earful from her as she was sure they would crash her mint condition virtual car. So, we talk about respecting other's property, including virtual property. The Reenie Cooper sits in the Forza virtual garage unscathed. Great Discussions About the Real World: My son's simulated life in the game SIMS includes being a father to his baby boy, whom he named Audi Ferrari (did I mention he loves cars?). It turns out that my son's character in the The Sims was perpetually fatigued, as measured by the energy meter in the game, because baby Audi would wake up every few hours each and every night to eat. "Mom, is that what it was like when I was a baby?" Exactly, my son, exactly. "Oh, I'll try to wake you up less so you can catch up on your sleep." And he has woken us up less since and has let us sleep more in the mornings. A Gateway to Interests to Explore: Back to Forza, this game opened the world of cars for both of my children. My son in particular can now recite the names and prices of the top 30 cars in the world, and felt interested enough to buy a book on concept cars. He is also drawing his own version of concept vehicles. Of course there could have been other ways to become interested in top line racing cards, but it was the beautiful execution in this particular game that served as the springboard for pursuing the interest outside of the digital world. It is clear that this generation of children will be exposed to video games, whether we like it or not, and thus I see our role as parents as turning the games into an advantage, a teaching opportunity and a springboard for the future. You don't have to be a Pacman Lunatic like me; just sit right next to your video-gaming child and ask him or her "What do you like about this game?" That is surely a good place to start. This post first appeared at Game Changer SF.